Most people understand what’s at stake if they don’t take their medications as directed. Physicians warn patients with high blood pressure that failing to treat the condition could lead to a stroke or heart attack, and most diabetics have gotten an earful about how uncontrolled blood sugar levels increase their risk for developing heart disease, kidney problems and other serious complications. Yet, according to several large studies — the latest from the Journal of the American Pharmacists Association — half of adults in the U.S. fail to fill and take prescription medications as directed. New mobile pharmacy apps, smart pill dispensers and other digital technology could help to change that by removing two of the main barriers to medication adherence: the inconvenience of filling prescriptions and remembering to take the right medications at the right time. By making it easier for people to follow doctor’s orders, mobile pharmacy technology could help save lives — and billions of dollars. According to a 2015 report from Express Scripts, the estimated direct and indirect costs of nonadherence in the U.S. is around $337 billion per year. This means that for every nine dollars spent on healthcare, one dollar was wasted. That’s a steep price tag for everyone involved — including insurers, patients, employers and care providers. For individuals, nonadherence can lead to higher medical expenses and lost wages, not to mention increased likelihood of sickness or even death. For companies, it can mean lost productivity, absenteeism and higher insurance premiums. Healthcare providers also have a stake in patient adherence. This is particularly true for hospitals, which get penalized for excessive readmissions of chronically ill patients. And sick people who don’t take their medication as directed are more likely to end up back in the hospital with the same or worse problems. Of course, medication adherence is just one way for care providers to keep patients healthy and out of the hospital, but it’s a critical one. And thanks to new mobile pharmacy apps and devices, it’s a problem that’s getting easier to solve. Technology enhances the patient experience. 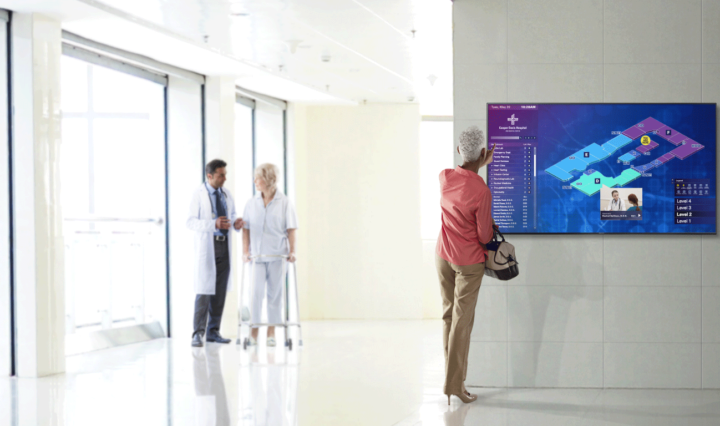 Learn here how hospitals are using digital devices to revolutionize the patient journey. While patient education gaps and high prescription drug costs certainly play a role in patient nonadherence, so do long pharmacy lines, busy lives and confusing drug regimens. And those are among the problems new mobile pharmacy technology aims to solve. For example, DayaMed’s medPOD® simplifies medication management by dispensing small pouches with all the medications a patient needs to take at a certain time. Built on top of a Samsung Galaxy S smartphone, the medPOD also reminds patients when it’s time to take their medicine, tracks when and where drugs are taken, automatically triggers prescription refills and communicates with the patient, physician and other concerned parties about the individual’s adherence. While new smart pill bottles don’t dole out medications for users, they do ensure patients remember to take them. For instance, AdhereTech’s smart pill bottle flashes a blue light and sounds an alarm when medications are overdue. It also sends the user a text message and alerts the healthcare provider. Pharmacy apps can also help patients manage tricky medication regimens, remember to take medications and avoid drug interactions. For example, Medisafe for Android lets users plan their daily medication schedules. Then it sends alerts when medications are due, syncs with family members’ devices and medication lists, and sends refill reminders. These are just a handful of the new mobile solutions that are making it easier than ever for patients to take their medications as directed. And that’s not just good news for consumers. By removing many common barriers to medication adherence, these innovative products and business models also have the potential to save big money. Samsung’s full line of mobile healthcare technology offers smart devices that make home healthcare easier and more efficient than ever.